i haven't been feeling great for the last several weeks and i was looking for a little pick me up. i researched ideas on things that would help perk me up and one of the things i came across were detox baths. detox baths are bathing in water enhanced with items like Epsom Salt, essential oils, etc. i put together this recipe to include items that i felt would be best for me however feel free to substitute your own favorite herbs, oils, citrus or even flowers. 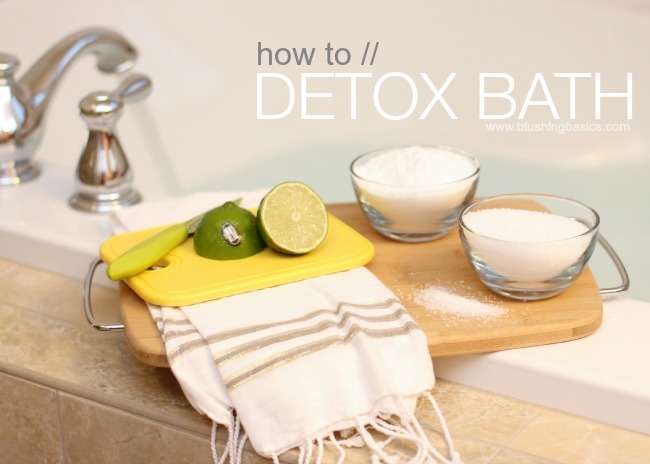 the goal of a detox bath is help your skin eliminate toxins and absorb minerals and nutrients from the water. add all items to your bath and let dissolve for a minute. allow yourself to soak for 30 minutes. as a mom 30 minutes can be a stretch but try your best to get the full 30.
the Epsom Salt is to help replenish the body's magnesium level. Epsom salt also helps to reduce inflammation and easy muscle pains. Baking Soda is known for its cleansing ability and helps to soften the water if your water tends to be 'hard' or full of mineral deposits. 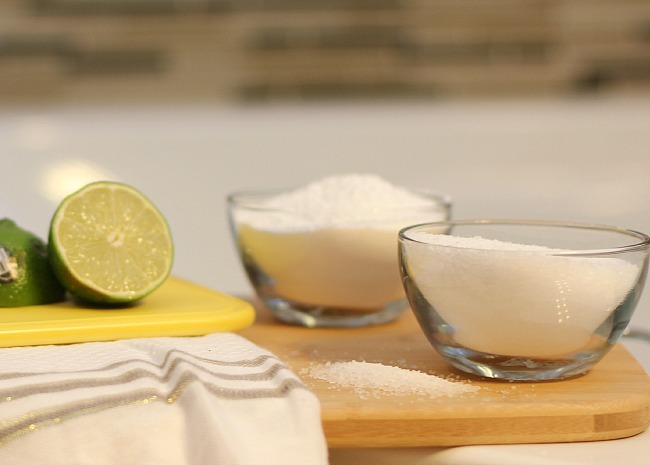 Baking Soda will also help to soften skin. the citrus is my own personal preference as citrus scents help me to feel energized and happy. i think this easy Bath Detox recipe is definitely worth a try. i would love to hear any variations you might be doing.